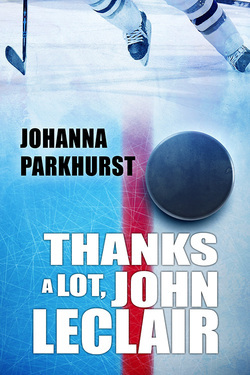 Sixteen-year-old Emmitt LaPoint has secretly been writing letters to his hockey idol, John LeClair, for years. So it’s probably only fitting that Emmitt’s small Vermont town seems desperate to make him the next LeClair. After all, Emmitt is about to lead his high school hockey team to the state championship, he has a near-perfect GPA, and he’s liked by almost everyone. But even golden boys have problems, and Emmitt has more than his share. His father’s back in town to breathe down his neck. He’s happily dating his coach’s nephew, Dusty, but almost nobody knows he’s gay—and that secret is getting harder and harder to keep. When Emmitt discovers Dusty is keeping secrets of his own, he’s forced to decide exactly what kind of golden boy he wants to be. ...or show some love to your local bookstore and ask for it there.